Fallen leaves are a sign of changing seasons as well as an outdoor chore waiting to be attacked with a rake. However, did you know that fallen leaves may also present problems for your HVAC system? While the furnace and indoor components aren’t affected, the outdoor half of your central air conditioner can be at risk from an accumulation of leaves and windblown debris. The outdoor A/C unit, comprising the system’s condenser coil and compressor, disperses heat extracted from inside the house. A powerful fan draws in a high volume of air through side vents, then exhausts through the top of the unit. Leaves obstructing or inhibiting air circulation severely reduce system energy efficiency and cooling performance. Low air volume can also damage the coil as well as the most expensive single component in the A/C, the system compressor. Keep any overhanging limbs above the unit trimmed back so they don’t deposit leaves into the top fan vent grille. During the winter, occasionally inspect the inside of the condenser by looking through the fan grille on top. If you notice fallen leaves, twigs, grass clippings or other debris inside, cut off electrical power to the unit at the dedicated switch. Remove the side panels—usually you’ll need a screwdriver or nut driver—and clean out the interior of the unit including exposed coil surfaces. If you have compressed air, that’s an excellent way to blow out debris. After leaves are removed, reinstall side panels and restore electrical power at the switch. 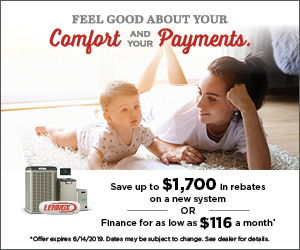 If you’re certain you won’t be running the A/C over the winter, purchase a commercially available air conditioner cover properly sized to fit your unit at a home center or hardware store. These covers keep out debris while allowing air circulation to prevent moisture accumulation. Remove the cover before running the air conditioner. 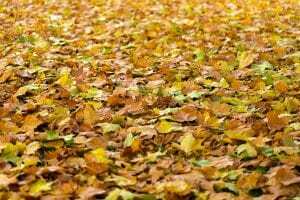 For more info or professional service to deal with fallen leaves affecting your HVAC system, contact Rinaldi’s Energy Solutions.